The Green Car China Project was launched in 2006 and has been publicly released since 2010. Going ahead more than ten years, the public influence of the project is continuously increasing. Based on the latest revised methodology, the China Green Car Project in 2018 released green assessments and rankings for 10 vehicle models (including PHEV) and the top 100 best-selling vehicles models in the past year. The report aims to help consumers know about and choose vehicles with less environmental pollution and take actions in a green lifestyle. The report updates the implementation and market development of the U.S. Renewable Fuel Standard (RFS), and introduces the RFS management mechanism, especially the traceability management of RIN codes. The RINs code is conducive to supervision on raw materials, production, distribution and mixture of multiple links. Through information and data collection, the RINs code contributes to effective adjustment of management methods and responding measures, which can be applied for establishment and promotion of the operation mechanism of the bio-fuel market in China. Green Car China Methodology Upgrade Report (2018) mainly refers to the GREENCAR Rating System issued by the American Council for an Energy-Efficient Economy (ACEEE). Based on real-world fuel consumption and emission standards in China, the 2018 report presents the latest revision and updates. Meanwhile, the new methodology report still provides vehicle life-cycle health and environment impact assessment (Green Score) based on parameters like fuel consumption, curb weight and pollutant emission, as well as assesses air quality impacts of vehicles (Blue Score) based on vehicle pollutants emissions. Additionally, the new report adjusts the fuel cost calculation parameters and add the life-cycle evaluation method of the plug-in hybrid vehicle (PHEV). The new methodology will be used as the calculation reference for the China Green Car Finalists in 2018 and beyond. In recent years, new (and big) data analysis has been employed in the field of transportation, mainly by innovative app companies supplying their users with real-world trip information, route-optimization, ride-hailing services and alike. This private-sector trend sets a new standard for the public sector to follow up on: employing real-world data for creating better informed policies. This study therefore aims to harness real-world data in addressing two topics: assess the gap between reported and real-world fuel consumption (FC), for the 4th consecutive year, and gathers novel understandings about real-world VKT, for the 1st year. To that end, we collaborated with two mobile applications’ that have agreed to share their useful data: actual FC data App, BearOil App (小熊油耗), and trip data OBD App, ZhiJiaXing App (北京智驾出行科技公司). Between 2015 and 2017, the number of NEV brands doubled and the number of NEV models available in the Chinese market tripled. This rapid development of China's new energy automotive industry is one result of the pro-EV policies made at the national and local levels. Because China is now transitioning from pilot- and policy-directed development and a more meaningful engagement with industry, challenges to NEV commercialization consist of mainly local deployment and market protectionism. This study proposed a new index for assessing relative market openness for competitive NEV development: "the NEV Market Openness Index". The index was developed on the basis of conventional diversity combined with penetration indexes, both adopted from biological studies, with a particular focus on passenger NEVs, and based on data from 23 Cities and 20 provinces. 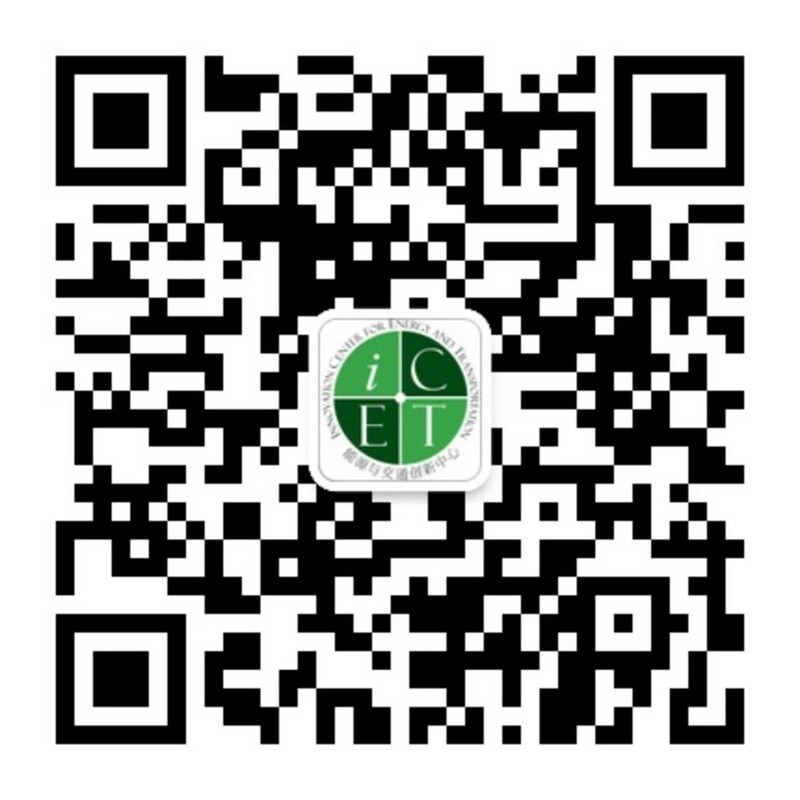 iCET has been involved in the drafting of China's fuel standards since its first iteration and has been tracking its development since. This report is the 7th iCET Annual Report evaluating China's CAFC standard implementation status with recommendations for policy. This year the report, although covering various aspects of China's corporate FC development, places considerable focus on the joint management mechanism of China's existing CAFC standard and the newly introduced NEV credits system. The highlights of this year's report are grouped around three themes: (I) fuel efficiency and the CAFC standard regime, (II) NEV super-credits (flexibility mechanism) and CAFC performance, and, (III) the newly introduced NEV credits system and the CAFC standard regime. The excel-based NEV credits impact evaluation tool is designed to support policy-design, impact evaluation research, and company compliance strategy with China's new CAFC and NEV credits joint management mechanism. The tool offers a comparison between two NEV credits designs (default are the MIIT's NEV credits and California's ZEV designs), manufacturing projections based on Game Theory inputs, and resulted NEV volume and subsequent carbon emissions reduction. Users can change some of the data and assumptions to fit their own case studies. There are increased interests in new data sources for evaluating the effectiveness policies that guide the development of the transportation sector, especially after the emergence of several notable emission scandals. However, few studies analyze these new data sources. Their applicability and usefulness are rarely compared and not well understood. This study attempts to fill this gap by drawing comparisons between two new data sources useful for assessing the actual fuel consumption (FC) of passenger cars: semi-manual calculation of FC through a dedicated app (BearOil, or Xiaoxiong) and automated FC (and other data points) collection by an On-Board Diagnostics (OBD) app (ZhiJiaXing). The study compares data features, statistical robustness and analysis results of the two datasets in a Beijing case study. As it has become evident that the gap between the actual and reported FC rate is increasing, so much so that it is actually outpacing any improvements in stringency made over the years in the policy itself. This report attempts to re-examine China’s FC gap using an automated data source instead of a manual voluntary data source. The data is provided by the On-Board Diagnostics (OBD) mobile app, Beijing Wisdom Travel Technology Co., Ltd. (北京智驾出行科技公司), and reflects inputs collected over a period of eight years from 55 models with some 180,000 owners and accounting for over 25 million data points. This report's analysis is focused on China’s capital city of Beijing, which is characterised by, at times, extreme congestion even with a vehicle registration cap in place since 2010. It examines by transmission type variations, segmentation differences, temporal variations, and speed related FC differentiations. This third annual report, assesses the gap between reported and real-world fuel consumption (FC) of passenger cars in China. It uses the factual FC data gathered by BearOil App (Xiaoxiong) which includes about 600,000 owners and over 15 million data inputs inserted between 2008 and 2016, covering 17,000 vehicle models in 31 cities in China. The analysis includes by-segment, by-brand, by-model year, by-weight, and by-transmission FC gaps.